In the early days of the 2013 General Assembly session, just a few weeks after the inauguration of Governor Pat McCrory, leaders of the state Senate were rushing a bill through the chamber to refuse Medicaid expansion under the Affordable Care Act. The bill quickly cleared a committee and was on the Senate calendar for a vote on a Monday night when McCrory’s legislative lobbyist delivered a letter to Senators asking them to delay the vote to allow the administration more time to weigh in on Medicaid expansion. Senate leaders ignored the new governor’s request and passed the bill that evening, rejecting federally funded health care for 500,000 low-income uninsured adults — and sending an unmistakable message to McCrory that Republican legislative leaders were still in charge of key decisions in North Carolina, not the governor of their own political party. The scene repeated itself several times in the last year. McCrory presented a budget to lawmakers last spring that included a small pay raise for teachers and state employees but legislators ignored it and no raises were included in the final budget. McCrory talked passionately during his State of the State address about reinstating the drug treatment courts that lawmakers had abolished the session before, but funding for the courts was also left out of the final spending plan negotiated by House and Senate leaders. McCrory signed the budget of course — just like he signed all the other troubling legislation passed by the Republican General Assembly in 2013 — so he is ultimately accountable for the damaging choices it makes. But it wasn’t really McCrory’s budget. It was the General Assembly’s budget. It slashed funding for public schools and gave tax breaks to the wealthy and he went along with it. He went along with almost everything House and Senate leaders proposed and passed. But that’s not leadership. 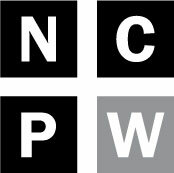 McCrory has pushed to privatize the state’s economic development efforts by creating a new nonprofit to run the state’s job recruitment program that will be funded with public dollars. State lawmakers never passed the bill setting up the new group but the administration pushed ahead and set up the nonprofit anyway, much to the consternation of legislators like Senate Majority Leader Harry Brown. Lawmakers are likely to consider legislation this summer governing the new arrangement and Commerce Secretary Sharon Decker recently announced a less ambitious timetable for the transition to the new and highly questionable privatized economic development scheme. 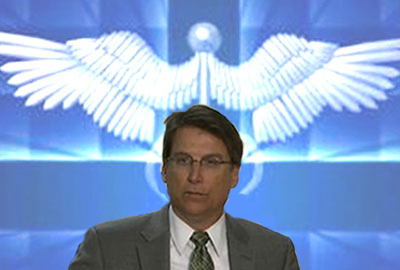 And now there’s Medicaid reform, McCrory’s really only other big initiative. Secretary of Health and Human Services Aldona Wos announced the reform plan this week, which is based on creating networks of heath care providers called accountable care organizations (ACOs) that would agree to spending limits to reduce overall costs. It’s an idea that is already working with Medicare as part of the Affordable Care Act, though not surprisingly that didn’t come up in Wos’ remarks selling the plan. There’s plenty of time to debate the merits of the ACOs and the huge cost savings its supporters are predicting it will create, but it seems like an idea worth trying as it builds on the success of Community Care of North Carolina, an award-winning homegrown managed care nonprofit that has already saved the state millions in Medicaid costs. It is also dramatically different from a privatization plan proposed by DHHS earlier in the year that would have turned over much of the Medicaid program to for-profit out-of-state managed care companies, a scheme that has created a series of problems in other states where it has been implemented. The more reasonable ACO plan now goes to the General Assembly for approval this summer, but there are already signals that it may have a rough time in the Senate. The lone senator on the advisory committee that helped created the plan, Sen. Louis Pate, doesn’t like it. Reportedly, the Senate leadership doesn’t either. The right-wing think tanks in Raleigh, who are very influential with legislative leaders, are already criticizing the plan too. They are big fans of the for-profit privatization scheme that the McCrory Administration wisely abandoned earlier in the year. That means the Medicaid reform plan proposed by the Administration this week will not pass the General Assembly unless McCrory fights for it and uses the power of his office to get it through the House and Senate. It’s a test of his leadership and another opportunity to find out who is really running North Carolina, the governor or the legislative leaders who repeatedly ignored him last year.